I Am A Go Getta aka the “Go Getta Girls” Enrichment and Mentoring Program mission is to motivate young girls a women to identify and activate their dreams. Go Getta Girls Enrichment and Mentoring Programs mission is to empower young girls and women to be determined to achieve their dreams through Academics, Social, Physical and Emotional enrichment developing critical Leadership Characteristics and Life Skills. Our “Go Getta Girls” are encouraged to strive for excellence in all that they do, working to leave a legacy and be a contributing citizen to their communities and the world while keeping their Heads High Goals High and Standards Higher! To edify, empower, and encourage high school and college young women to be there best and strive for excellence in all that they do. Go Getta Girls Enrichment and Mentoring Program is an initiative to motivate and encourage High school and College “Girls” to activate their dreams and empower “Girls” to be determined to achieve them, to strive for excellence, and to never give up hope of achieving greatness and/or success however they choose to define it. Through the Life Skill workshops and Speaker series, the Go Getta Girls Enrichment and Mentoring program will provide the necessary skills for students to increase academic performance, attendance, develop leadership potential and social skills. The empowerment and mentoring program will also incorporate emotional and physical engaging activities to promote self-expression and self-awareness. Through our Girl Talk” sessions our “Girls” swill engage in activities to improve self-confidence, attitudes, sexual awareness and education. Girls and Young Women in the I Am A Go Getta “Go Getta Girls” Enrichment and Mentoring initiative are encouraged to ASK for what they want, SEEK and gain knowledge on how to get what they want and KNOCK at the door of opportunity to work for what they want. The Go Getta Girls Enrichment and Mentoring initiative strives to make girls and young women aware that being a product of your environment is a choice. Circumstance and statics do not define you. Our G.I.R.Ls have a choice to be great! • To be a role model and a contributing citizens to their communities. 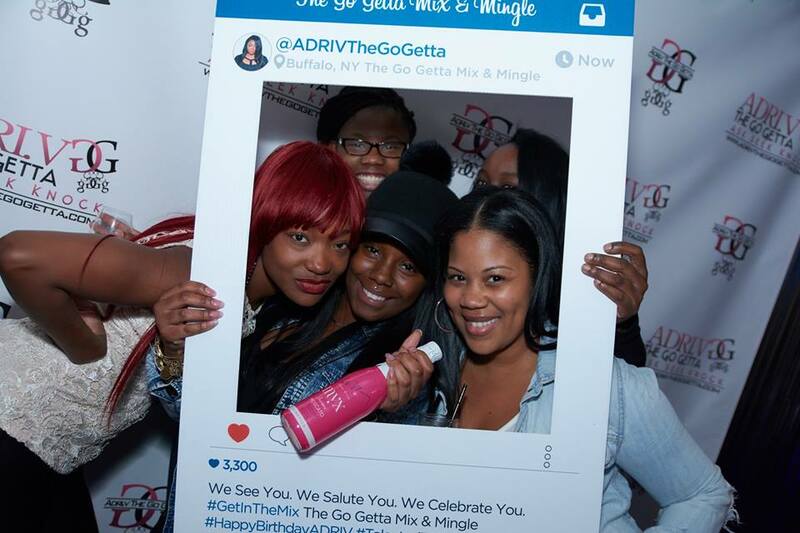 For more information on how to take the pledge and join the movement click The Go Getta Girls Logo! Are you a Go Getta or Know a Go Getta? Determined to go after their dreams to achieve them and motivates others to do the same. 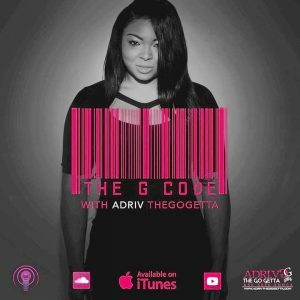 Each week ADRI.V will pick a Go Getta of the Week from the submissions. 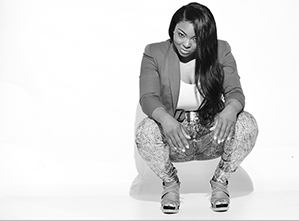 The Go Getta chosen will be recognized on The Go Getta Website, WBLK website and announced during her show, The Go Getta Mix and will be given a Go Getta Gift for being choses. 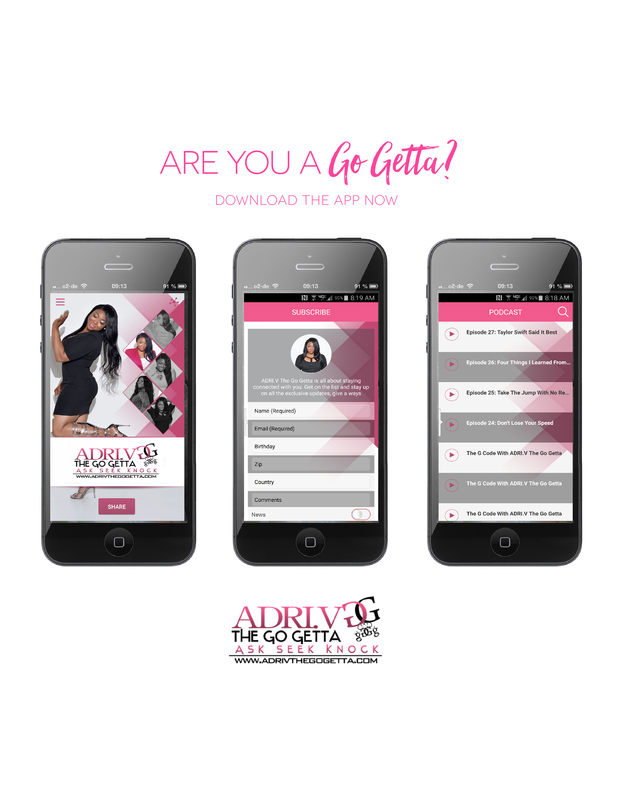 If you are A Go Getta and or know a Go Getta Nominate them to today and send an email to ADRI.V@ADRIVTheGoGetta.com!